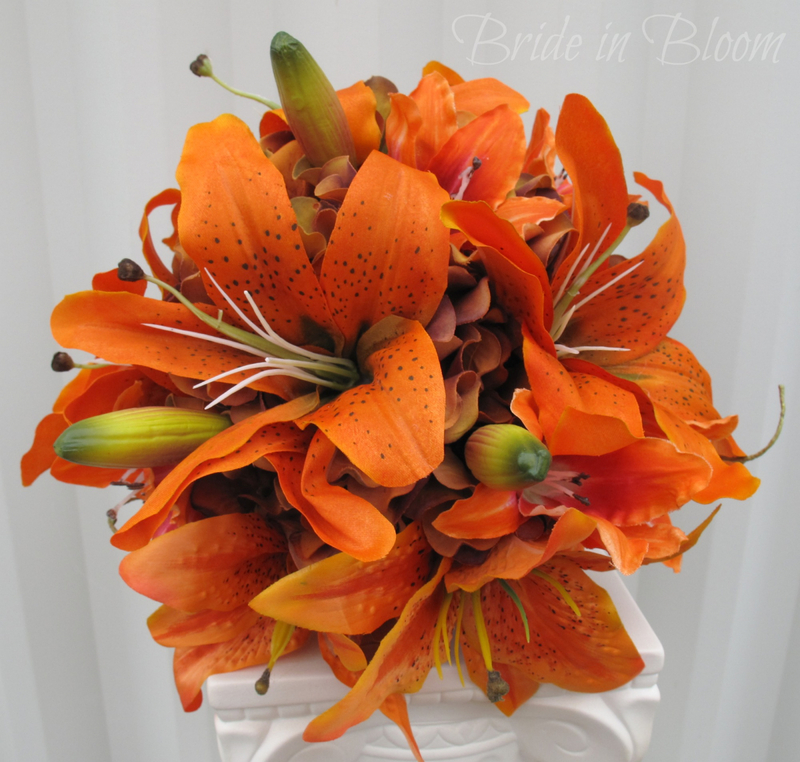 Tiger lilies are " the symbol of wealth and pride". 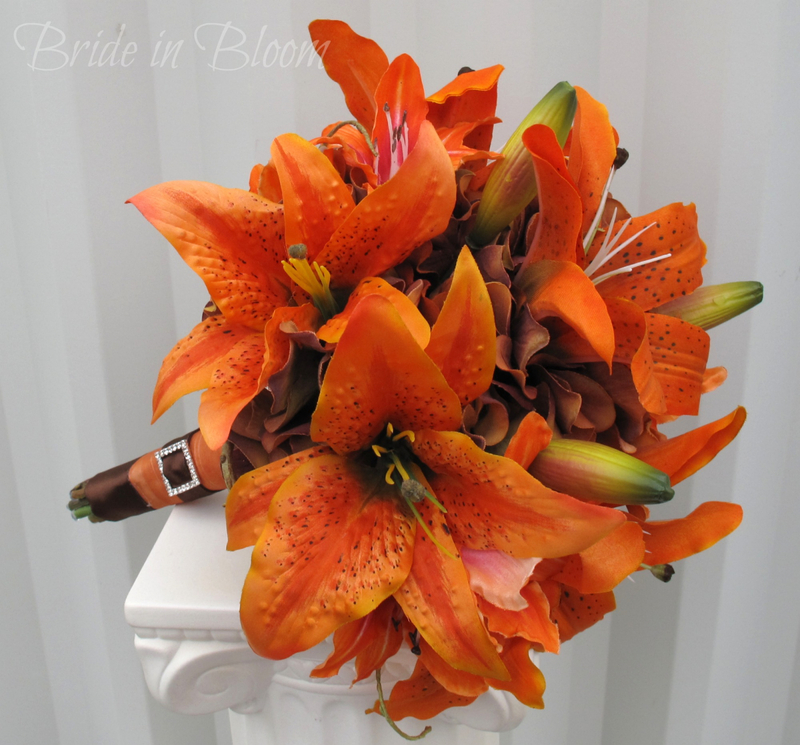 This vibrant orange & rust / brown tiger lily Wedding bouquet is a one of a kind Bride in Bloom Wedding design. 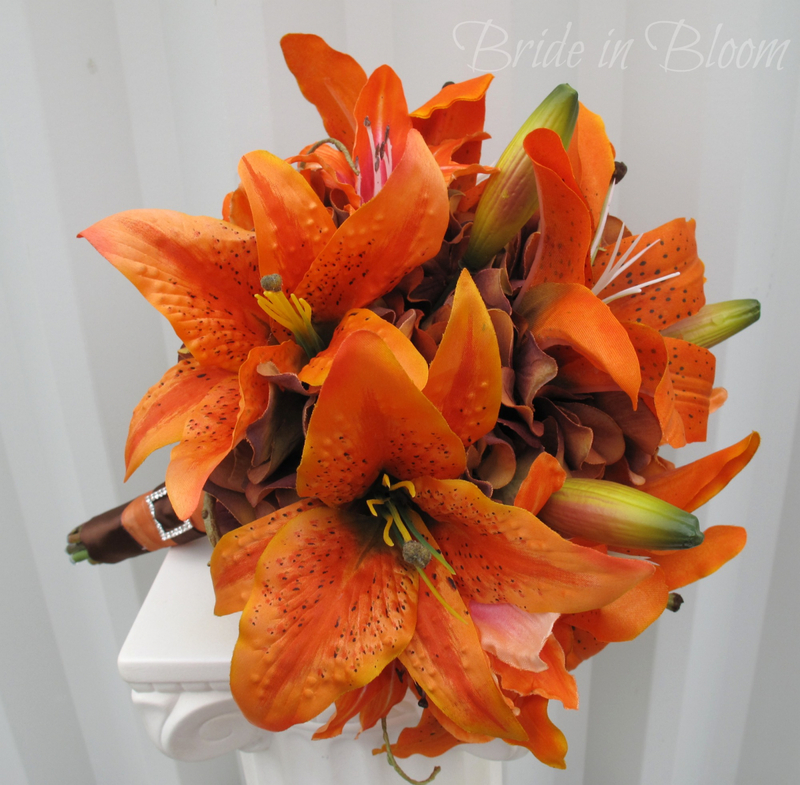 Bouquet is designed with the finest quality large orange tiger lilies, small red / orange lilies with rust hydrangea, framed with curly willow. 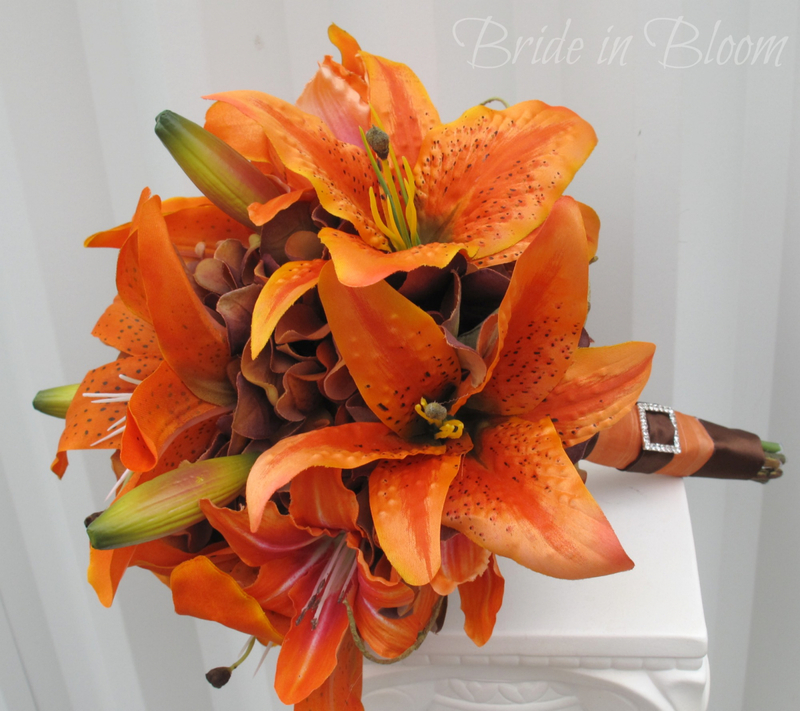 Handle treatment has a shear burnt orange ribbon wrap with brown satin sash ribbon, finished with a sparkling square rhinestone buckle.